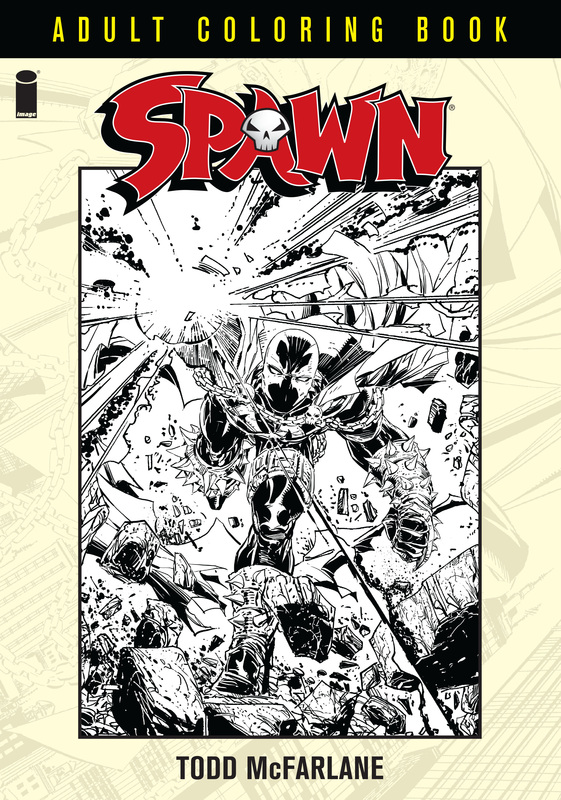 Adult coloring books are all the rage these days and Image Comics is giving their fans exactly what they want… A Spawn Coloring Book!!!! 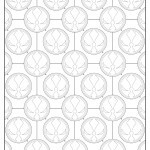 Who doesn’t want to sit down with a pack of Caryolas and stay in the lines? 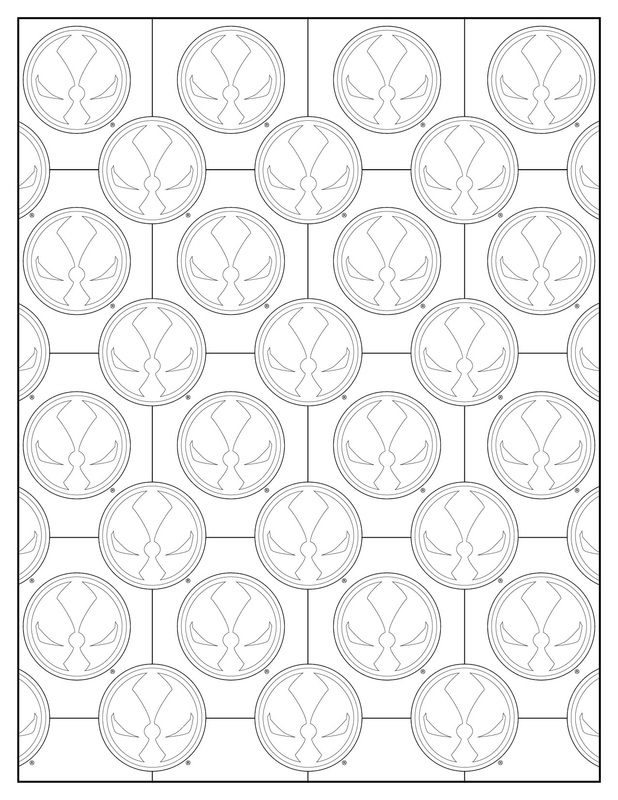 I’d probably prefer colored pencils, but coloring is coloring and it is fun! Check out the details of when and where you can find the book, and as an added bonus we are including a few sample pages for you to download at the bottom of the post. 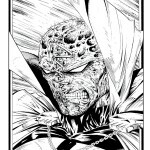 From Todd McFarlane—creator of comic book anti-hero SPAWN—comes the first ever SPAWN ADULT COLORING BOOK, available from Image Comics this May. 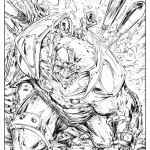 Known for his hyper-detailed and complex art, this coloring book is a must-have for any SPAWN and comic book fan. In 1992, the creation of SPAWN unleashed a brand new character to an unsuspecting public for the first time. 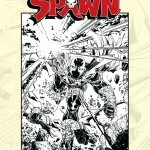 With the release of its premiere issue, SPAWN broke the independent comic sales record, selling over one million issues, a record which still stands today. Decades later, with over 260 issues produced, SPAWN is one of the longest-running, independent comic books currently being published. 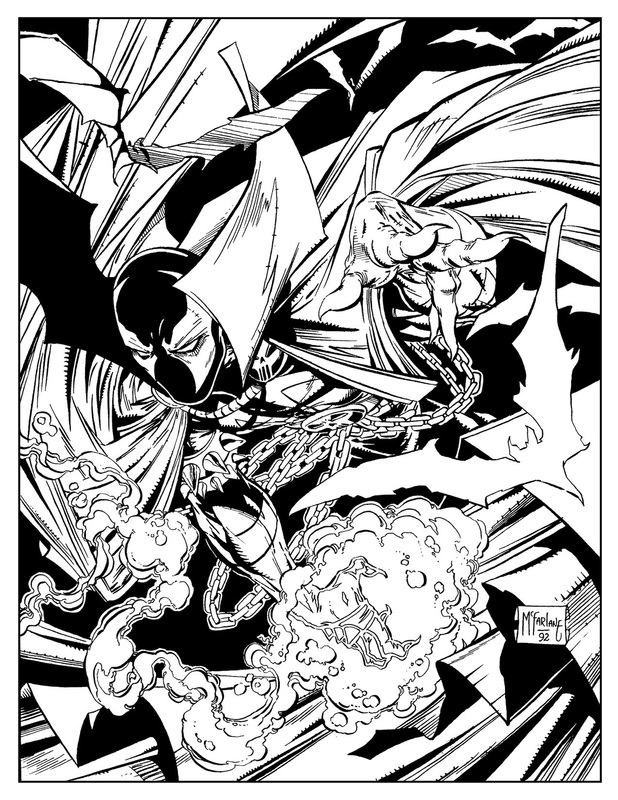 The SPAWN ADULT COLORING BOOK is a sampling of Todd McFarlane’s kinetic artwork from the span of his lengthy, ongoing career. 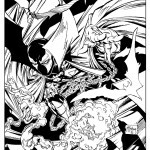 Featuring 47 unique and memorable covers and interior pages inked by the comic book legend himself, Todd wants YOU in the position of comic book colorist, designing a color scheme for some of Spawn’s most memorable pages. Be part of the SPAWN legacy! 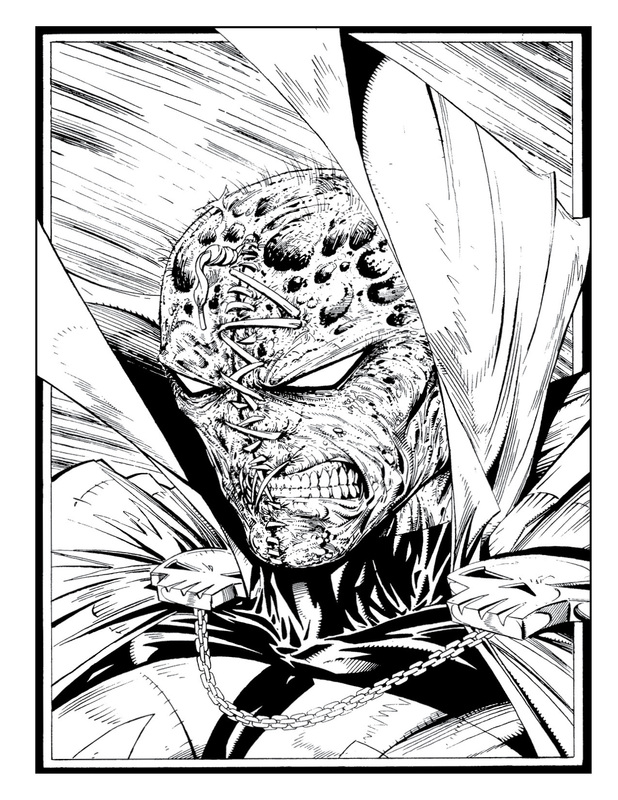 SPAWN COLORING BOOK (ISBN: 978-1-63215-785-0) hits comic book stores on Wednesday, April 13th and bookstores on Tuesday, April 19th, and will be available for $12.99. It can be ordered by retailers from Diamond Book Distributors with Diamond code FEB160614. It can be preordered now on Amazon, Barnes & Noble, Indiebound, and Indigo. The Infamous Podcast can be found wherever podcasts are found on the Interwebs, feel free to subscribe and follow along on social media. And don’t be shy about helping out the show with a 5 star review on iTunes to help us move up in the ratings. 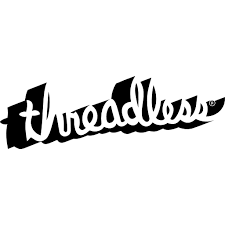 The music in this episodes is Pomade by Silent Partner. The Infamous Podcast is Johnny Pottorf and Brian Tudor, and is produced and edited by Brian Tudor.